Keep Calm and Carry On Koala! 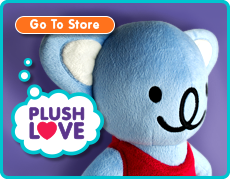 Smiling Bear has lots of internet meme inspired designs tucked away. This week, we decided it was time to bring out the ‘Keep Calm and Carry On’ example. 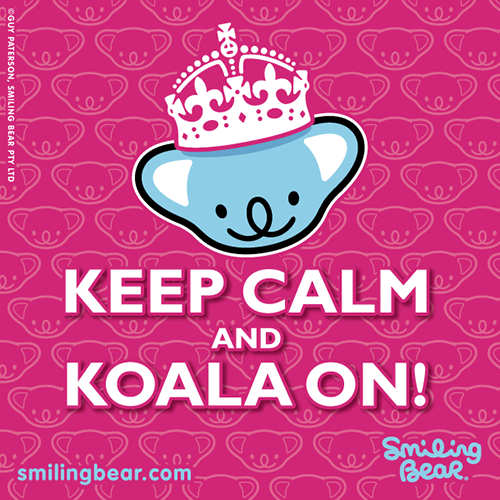 We Smiling Bear-ified it to ‘Keep Calm and Koala On!’ What better way to keep calm than with a koala? If you’re lucky, you might even get a cuddle...nawwww! The design now appears on literally hundreds of products, including Keep Calm and Carry On posters, greetings cards, mugs, bags, t-shirts and tins. Nice piece written about us this week. Little Angel magazine featured us in their hotly contested 'Super Sites' – the top 3 websites of the moment. Thanks guys, keep those recommendations coming! A special thank you too, for Helen Becky Zhang and her brother William. Helen, thanks for buying the magazine in the first place, and William, thanks for taking a crafty peek at your sisters mag and then getting in touch! We decided it was high time we created an animated cute and kawaii gif for the blog. This one is called ‘Colour Me Happy’ with Smiling Bear in his cool retro shades.